Adam Osmayev, the suspected organizer of a thwarted assassination plot targeting President Putin, should be extradited to Russia, a court in Ukraine ruled Tuesday. The ruling of the Odessa appeals court dashed the hopes of the defense team that their client is tried on Ukrainian soil, as it upheld the Ukrainian Prosecutor-General's decision to extradite Osmayev to Russia at the request of the Russian prosecutors. Osmayev’s case will most likely be investigated in Russia by the Federal Security Service (FSB), but this decision will only be made after the suspects and all evidence in the case arrive in the country, a law enforcement source told the Interfax news agency. Osmayev is a Russian citizen born in Grozny, Chechnya, who was detained in Odessa in late February along with Kazakhstani national Ilya Pyanzin after a blast leveled an apartment block in the city. 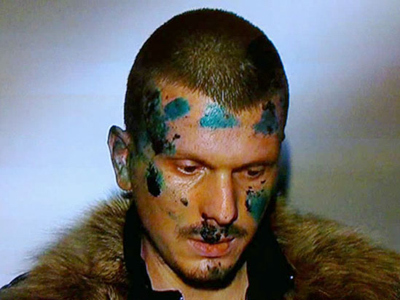 Both men confessed to Ukrainian police that they had intended to assassinate Putin – campaigning for the Russian presidency at the time – with a roadside bomb. 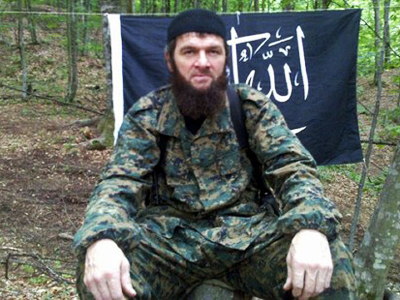 The men claimed they were acting under orders from Doku Umarov, Russia’s most wanted terrorist. The duo later confessed to plotting to kill the President of the Chechen Republic, Ramzan Kadyrov. Ukrainian prosecutors initially charged the two men with illegal possession of explosives and damage to property, but added charges of participating in a terrorist organization and plotting a terrorist attack after confessions. Russian security services reported that they had discovered a cache with explosives near Moscow in a place specified by one of the suspects. Russian prosecutors have also started a criminal case into the conspiracy in which Osmayev and Pyanzin were charged. Both men were charged in absentia with participation in an illegal armed group, attempting to kill a state official and the illegal production and transport of weapons. A Russian court has issued arrest warrants for the men. 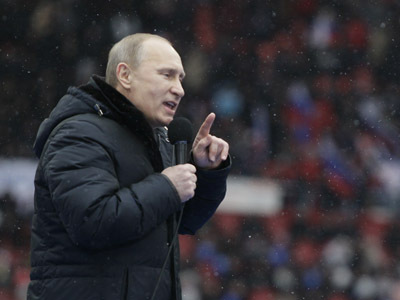 Following the pair’s detention, Moscow pressed Kiev for their extradition. The defense attorneys previously attempted to delay the proceedings, since the Ukraine’s new procedural code, which takes effect in October, would allow for a plea bargain and guarantees against extradition. The defense has twice attempted to prove that serving a sentence in Russia would threaten their clients’ lives, but both attempts failed.